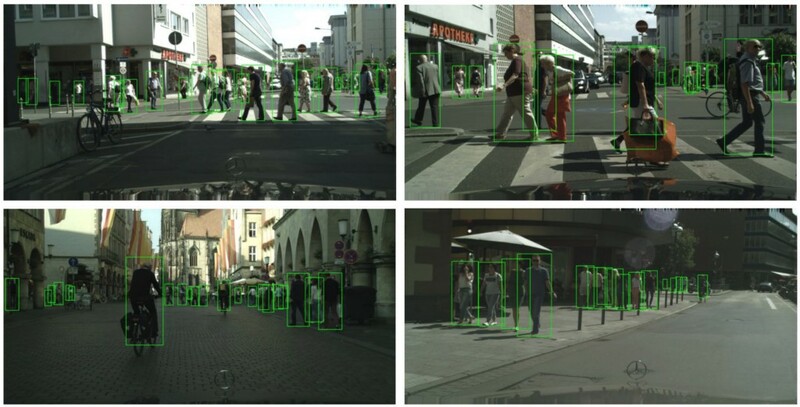 Detecting individual pedestrians in a crowd remains a challenging problem since the pedestrians often gather together and occlude each other in real-world scenarios. In this paper, we first explore how a state-of-the-art pedestrian detector is harmed by crowd occlusion via experimentation, providing insights into the crowd occlusion problem. Then, we propose a novel bounding box regression loss specifically designed for crowd scenes, termed repulsion loss. This loss is driven by two motivations: the attraction by target, and the repulsion by other surrounding objects. The repulsion term prevents the proposal from shifting to surrounding objects thus leading to more crowd-robust localization. Our detector trained by repulsion loss outperforms all the state-of-the-art methods with a significant improvement in occlusion cases. State-of-the-art pedestrian detection with repulsion loss.